I have confused and disappointed many people in my lifetime because I don't look or behave the way they think an Asian ought to look or behave. All about the Federal Family Medical and Leave Act: Who is eligible, what protections are provided, and how you can secure your leave. It's not easy to teach your child that people may fear him because of the color of his skin—but it's something parents through transracial adoption must do. Sometimes, a teen's behavior calls for outside help. 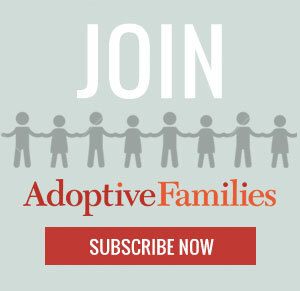 What to watch for and how to find the right adoption therapist. What it's normal to feel, even after you adopt and fall in love with your child. Preschoolers love hearing about their adoption when it's told as a narrative designed to inform and comfort. 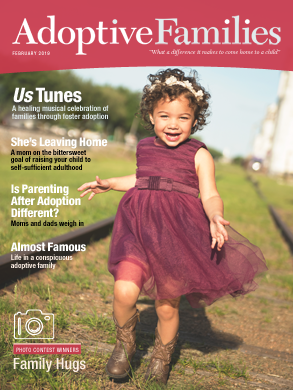 Adoptive Families readers received, on average, 9.6 weeks of leave from work. Here’s how to make an informed childcare decision, and keep the transition from disrupting your bond. We scoured the blogosphere for the most funny, heartwarming, honest online reads. Our congratulations to these 18 outstanding picks! When you're waiting to adopt, you count each day that passes. But how should I count my daughter-to-be, who is already a part of me?